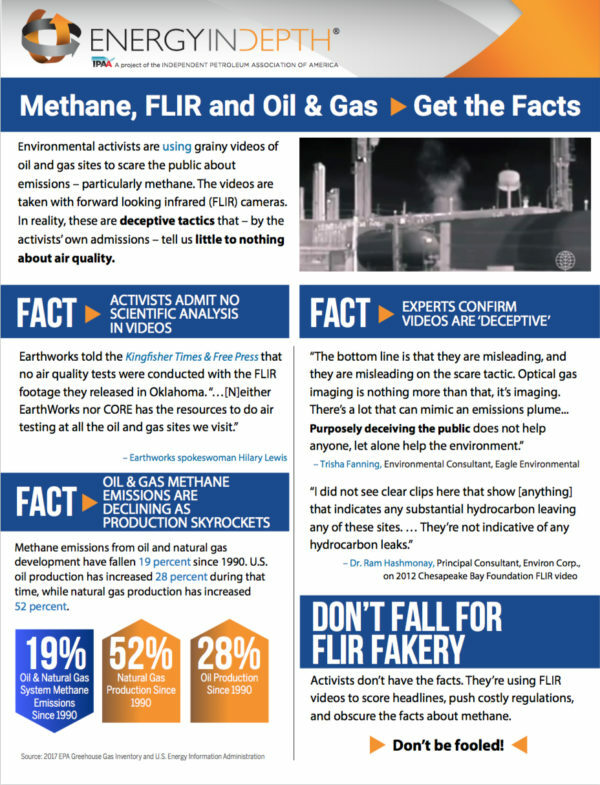 Moms Clean Air Force released a new “report” this week that alleges widespread health harms from oil and natural gas development based entirely on an array of debunked talking points and anecdotal accounts, rather than actual air measurements. If this sounds familiar, it’s probably because two other anti-fracking groups, Earthworks and Clean Air Task Force (CATF), released basically the exact same “report” just two weeks ago, utilizing an all-too-common “Keep It In the Ground” repackaging strategy designed to generate headlines rather than contribute to the honest scientific debate on the issue of fracking and public health. The “new” Moms Clean Air Force report even notes, “This report builds on data and analysis from the Clean Air Task Force and Earthworks quantifying the health impacts of oil and gas operations across the U.S.” Rather than saying the report “builds” on CAFT and Earthworks “data,” a more accurate description would have been that the report recycles that report’s long-debunked anti-fracking scare tactics. As the following side-by-side comparisons show, the reports are nearly identical. Both reports’ introductions prominently feature Earthworks’ infamous “Threat Map,” which merely identifies the fact that many Americans live near oil and gas development. The bodies of each report are comprised of anecdotal accounts from Pennsylvania, Ohio, Texas, New Mexico and Colorado, along with nearly identical Forward Looking Infrared (FLIR) images that Earthworks has admitted provide no scientific evidence of harmful emissions. The reports’ conclusions are also strikingly similar, calling for increased oil and gas setbacks and — shocker — more federal regulations. The fact remains that neither of these reports include any original air quality data to verify their conclusions. And unfortunately for these groups, the timing of the anecdotal Washington County, Pa., profiles in both reports couldn’t be worse, as new Pennsylvania Department of Environmental Protection (DEP) and Pa. Department of Health (DOH) air monitoring reports were released last week that find that Washington County oil and gas emissions are protective of public health.